I haven’t been on in a while. To make a long story short. I have had a lot of fibro pain and fatigue to the point of having in bed days. Our middle son, who is 21, got both hands burned at work when a torch exploded. It was a large fireball that singed his hair, eyebrows, eyelashes, nose hairs, BUT God spared his face. The only thing burned was his hands. I have never been around anyone that had been burned and it was horrible. Even with pain pills he was in so much pain. We had to put creams on and wrap his hands multiple times each day. The entire family pitched in to help feed him, doctor his hands, give him drinks, and even give him sponge baths out of the kitchen sink. It totally broke my heart. The good thing is we have one of the best burn hospitals within 30 minutes of our home and he had a wonderful doctor. We took him for treatment weekly and he was burned so bad that he had to have a skin graft to one hand and it is doing wonderful. He is back to work, pain-free, and they say he will have a complete recovery. Praise God! I am glad to be back with my friends and look forward to hearing from you and reading your posts. On another note – our weather has been crazy lately with numerous storms, weather fronts, etc. Yesterday it was 80 degrees and then last night it got down to 30 degrees. Talk about crazy! No wonder I have been hurting so much. Yesterday I picked some asparagus, admired my flowers coming up, saw zillions of blooms on my strawberries, and noticed the peach tree was full of blooms. Today my peach tree has ice on the limbs and it looks sad with it limbs under the stress of the rain that froze on it. Last night we put trash bags around my patio banana, lemon, lime, and orange trees. We put buckets, tubs, pails, anything we could find to cover as much as we could to try to save it from the cold air. The ground is wet and it is supposed to be 28 degrees tonight and then after that I think it will go back to our normal April weather. It is so weird to get a winter storm in April here in Oklahoma. I had steroid shots placed in the bursa area of my hip on Thursday to see if it would help with my hip pain. I had developed pain with walking and it felt like it was bone on bone. X-rays showed that my hip was ok. The specialist put multiple steroid injections around the area of pain. I could tell by the next day that it was helping, which was wonderful!!! The drawbacks or side-effects of the shots were: I was so wide awake that I only slept a total of 3 hours for 2 nights straight, my Fibro fog increased, the site was fairly swollen, bruised and painful, and it caused my Fibro to flare this weekend. The GOOD news again is that it reduced the pain in my hip area so I no longer have the terrible pain when walking. It is sad that so many things start flares in people with Fibromyalgia (meaning that their Fibro symptoms get worse). Even treatment like steroid shots to help with hip pain start flares that make your Fibro worse. I am thankful for any help I can get to reduce pain or increase energy, even at the cost of going through a Fibro Flare. I don’t always…… but I want to try to look at the positives in my life. May you be pain-free and have extra energy! Shots!! Make the Pain Go Away…… PLEASE!! I have been having so much back pain and hip pain that I have been getting Lumbar Epidural Injections and today I was sent to see an Orthopaedic Surgeon. He ended up giving me a steroid shot in my bursitis area in my left hip. He says that my left hip is covered in arthritis, bone spurs, pinching the nerve that causes my sciatica nerve issues. My bruise is lovely that I got today. The steroid shot helped me so much by noon that I was doing little projects that I haven’t been able to do (just light work). THEN, I went outside to get the mail and the grass was wet. When I came back in I walked across our living room carpet in my tennis shoes, then onto the tile in the kitchen. I made it by the refrigerator and fell so hard on my right knee and my left hip. I pulled the area that had been hurting so much before the steroid shot in my hip. AARRGG. I was so upset that I called my husband to come home early to be with me. I was in the floor crying, I was pissed, in pain, frustrated because every time it seems I get better I get knocked down with pain or fatigue in some way. Right now I am pretty sick of this Fibro thing, the hip issue, and the back issue. Someone make it go away!!! They say that I will eventually need back surgery. I won’t get pain relief from the sciatic nerve until I have the back surgery. The nerve is being pinched so badly that all it knows to do is PAIN. I also have the bulging disc, lots of arthritis, degenerative spurring, ventral flattening of the thecal sac, degenerative changes are most prominent at L4-L5 where there is a broad posterior and left foraminal disc protrusion with bony spurring. There is moderate to severe left foraminal stenosis at L4-L5 with displacement and compression fo the exiting left L4 nerve root. So……. sometime in the future I will be having back surgery. They say this is the only thing that will help relieve my back and sciatica nerve pain. I think I will try the shots for a while and when I just can’t stand it anymore – I wll schedule the surgery. So tell me – have you taken pain pills, pain shots, epidural injections for pain, steroid shots? Tell me your experience I would love to hear it. WARNING! Fibro Person Coming Your Way!! “Fibro Colors” posted this today on Facebook and maybe here as well (not sure). I can relate to this SO well. I think some of it is due to Fibro Fog. Not only do I trip over invisible things – I run into the same door knobs walking through the hall day after day (my arms show the bruises), and hit the same door frames with my arms. If I am coming your way…… WATCH OUT! 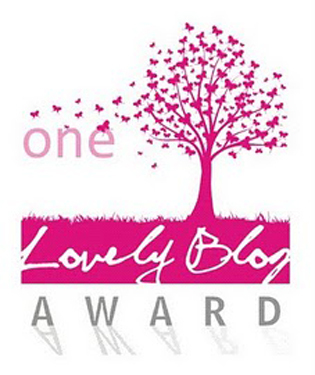 I was nominated for the LOVELY BLOG AWARD by painfighter.wordpress.com and I am so excited!! I really needed the boost. I have been having lots of pain and fatigue lately and haven’t felt like posting anything much less reading blogs. 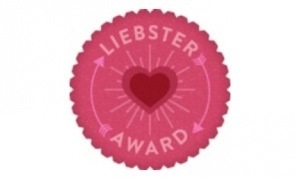 Thanks so much painfighter! 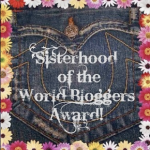 The requirements of the Award are to mention who nominated me and link back to his/her blog, display the award image anywhere on my blog, reveal 7 things that you may not know about me, nominate 15 blogs for the award and tell them of the nomination (linking their blogs in this post) including a link back to this post. My favorite color is blue. I love working in my flower bed. This is my play time! I love watching crime shows especially “The First 48” on Netflix. I married my high school sweetheart and we have been married 32 years. My favorite foods are Pizza and Mexican food! I have 3 awesome sons, 2 wonderful brothers, and my sweet Dad and Mom have been married 55 years. Well….. isn’t that nice? I say that sarcastically, but it is nIcE in a sTrAnGe way. I had my series of 3 epidural injections with the last one in May. I had SIGNIFICANT relief in one week!! So I was able to get rid of some of my pain and at least the back pain has nothing to do with my severe fibromyalgia. I was given steroid, short-term pain medicine, and long-term pain medicine. They never know how long this will help an individual, but I have talked to a few that have gotten relief for 3 to 5 years. My pain returned after 3 months, but it was a GLORIOUS 3 months with little back pain! I was told that some patients may have to go every 3 months since the medication works differently in each patient. The anesthesiologist told me that since I am back within the 3 months that it meant that I was getting most of my pain relief from the steroid. He told me that I would be a good candidate for back surgery by reviewing my issues and that it could potentially help my issues for long-term. I am not excited in the least about the possibility of having back surgery, but it would be so nice to FINALLY be able to “FIX” something. I have found with Fibromyalgia there is not much that you can “FIX”. I hear that there is research being done that could one day be able to help fibro patients and I welcome the day. There are medicines that help some people with fibro, there are some people who have a touch of fibro, and there are people like me that take medicine that helps a wee bit but still suffer from constant pain. So with all the stuff that I have going on with my lower back is kind of a “good thing”, because it is something that can be “FIXED”. Isn’t it weird how perspective can change depending on how you are affected and the pain that you endure daily? Fibro Fog we are SICK AND TIRED OF YOU!! Where Did my Sleep Go? © Ginger Ray and dailylifewithfibromyalgia.com, 2012-2072. Unauthorized use and/or duplication of this material without express and written permission from this blog’s author and/or owner is strictly prohibited. Excerpts and links may be used, provided that full and clear credit is given to Ginger Ray and dailylifewithfibromyalgia.com with appropriate and specific direction to the original content. dailylifewithfibromyalgia.com by Ginger Ray is licensed under a Creative Commons Attribution-NoDerivs 3.0 Unported License.